I stopped the 4x4 and got out to investigate. A builder, working on a nearby house, shouted his advice. "Just go straight," he said, "Don't stop and you'll be fine"
As if to prove his point, another 4x4 hurtled down the track, paused briefly, then made steady progress through the current before climbing up and out on the other side. "See!" the builder said, giving us a thumbs-up, "Pura vida!" I returned the ubiquitous gesture (pura vida literally means 'pure life', but you'll see it and hear it everywhere in Costa Rica to express any kind of positivity), switched into a low gear, crossed my fingers and then ploughed straight into the water. 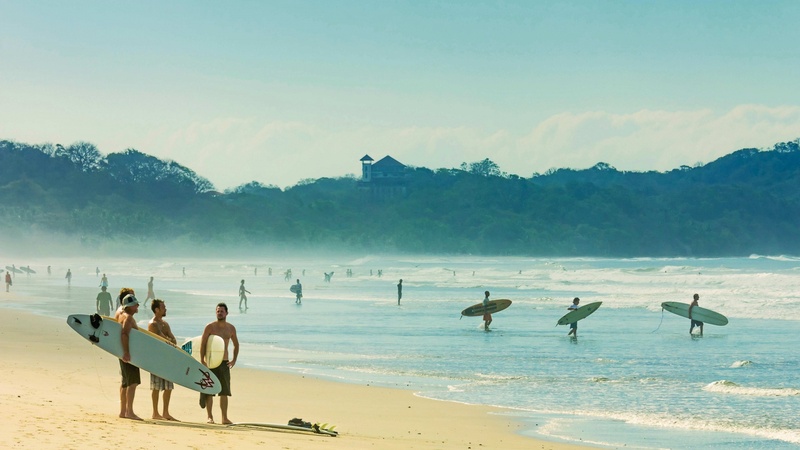 Over the last 100 years, Costa Rica has raced from being the poorest country in Central America to the most developed. Tourism has been key to that growth, with visitors coming from across the world to see its mountains, jungles and wildlife. 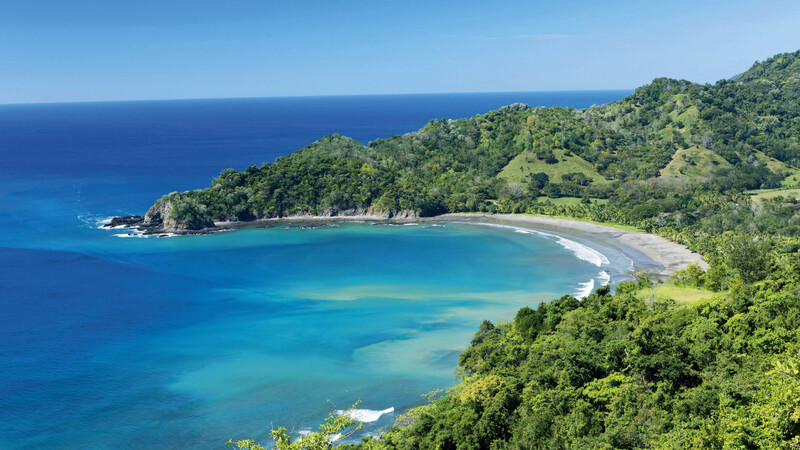 But the Nicoya Peninsula, in the country's northwest, rarely features in nature documentaries. That's because it has no active volcanoes and, with little rain from November to April, no rainforest either. It does, however, have long beaches and consistent heat, making it a favourite winter escape for Americans. There are direct flights from the United States to the city of Liberia, and from there it's a reasonably short dash to Playas Hermosa, Grande and Tamarindo. While luxurious, these areas don't offer anything different to most tropical beach resorts, but you only need to drive an hour south to find a very different side to the peninsula. The indigenous people of the Nicoya Peninsula are the Chorotega, and they have more in common with the Maya of Mexico and Guatemala than they do with the hill tribes of Costa Rica's mainland. The Chorotegan maize diet (originally derived from the Maya) is thought to promote longevity, and if you make it to 60 years old here, then you are more likely to reach 100 than anywhere else in the world. Matambu is Costa Rica's largest Chorotega reserve, but you won't find it on visitors' maps. South of the main tourism hub, tarmac roads gradually become dirt tracks, and towns give way to villages of bright bungalows. "Tourism has a place here," says Ezekiel Aguirre-Perez, a community leader in Matambu, "But it must be carefully managed. If you look around Costa Rica, you can see indigenous culture being commoditised." 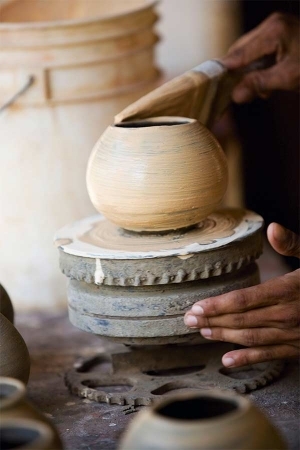 Ezekiel lives in a modern home, but his pottery workshop is built in the traditional style. It's a large, open-sided structure, with a steep roof made from leaves, filled with work in various stages of completion. "The whole community builds these houses together," he says, "Then, when another person needs one, the whole community goes to build that, too. We call that attitude 'mano vuelta' and we should apply it to our tourism. "For example, if I teach a group of tourists how to make Chorotegan pottery, then someone else in the village can be cooking a group dinner, or running a nature walk with another group. That way the whole community has a part. That's mano vuelta." Central Nicoya's main industry is cattle farming. But, as the price of beef falls across the world, some ranchers have turned to tourism to make ends meet. Many haciendas now have as many guesthouses as they do stables, and Costa Rica's cowboys, known as sabaneros, have to look after tourists as well as the horses. "You have to be willing to do whatever it takes," says Ariel Gonzalez-Valberde, head sabanero at La Ensenada ranch, "And it's worth it, because I love this life. Every day is different: one day I'm finding an injured bull in the forest; the next I'm teaching you about our plants and animals." After helping Ariel saddle the horses, I joined him for the daily head-count. Riding up a ridge that looks down on the Gulf of Nicoya, we found the first of the estate's five herds. Ariel began a series of low whistles, and the long-horned bovines stirred from the shade. The horses instinctively spread into line abreast, rounding up any cattle that slipped through the cordon. Doing my best to imitate Ariel, I whistled at a nearby bull, which just looked at me impassively, chewing its cud. I tried again, and this time drew the derision of some howler monkeys in the treetops. Eventually my horse, bored of my incompetence, cantered towards the steadfast bull and drove him towards the rest of the herd. "Don't worry," Ariel said, laughing, "It took me years to get it right. The cows won't even respond to a sabanero from another district." Further south, where the cows still didn't understand me, we crossed the aforementioned river to reach Santa Teresa. Inaccessibility has given this town legendary status amongst backpackers, who come for the surf, yoga lessons and laid-back lifestyle. New regulations prevent development within 50 metres of the beach, but the town is still learning to cope with its popularity. Venus Moya grew up in the nearby fishing village of Mal Pais, and is delighted with the growing tourism, and the opportunities it provides. She is head of marketing at the local branch of Selina, an Israeli-owned hostel chain that's spreading across Latin America. "Hostels used to only employ locals as cleaners," she says, "and give front-of-house jobs to backpackers. But the whole industry is improving. Selina gives internships to locals so they can build careers in hospitality, and we encourage our guests to do Community projects like beach clean-ups." Entrepreneurial locals are catching on, too: over the road is a café serving delicious local food at half the price of Selina's restaurant; it's full of surfers who stay at the trendy hostel but still need to watch their pennies. For those with bigger budgets, Latitude 10° provides individual casitas and the best breakfasts in town. But there's more to do than just surfing and yoga. Zip-lines are a thrilling way to explore the forest canopy, and from nearby Montezuma, boats take you on day trips to nearby islands. Once there you can snorkel with turtles. At the right time of year you can even see humpback whales in the channel. The roads between Santa Teresa and Montezuma are not for the faint-hearted. Most visitors hire a quad bike or 4x4 to get around, and sometimes even that isn't enough. On our drive to the airport, the sat nav took us back via the same route through the river. We waited patiently as a woman crossed on horseback. "I wouldn't try, if I were you," she said as she passed. "Last night, three cars got stuck and a tractor had to get them out." We heeded her advice and went the long way 'round. 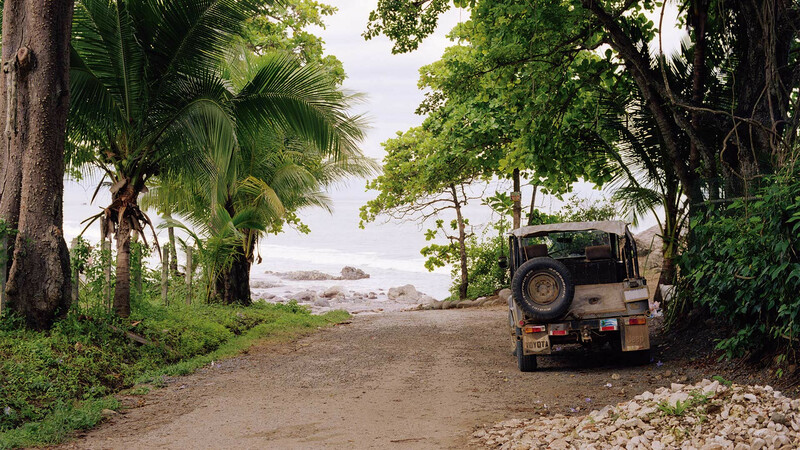 A trip to the Nicoya Peninsula takes you well off the beaten track, but not every track is passable.